Dr. Bhavin Parikh completed post - graduation (MS) training in ENT and Head and neck surgery at S.S.G. Hospital under Maharaja Sayajirao University of Baroda in July 2003. Dr. Bhavin was one of the two candidates selected from india (and first from western india) for Super - Speciality Training in Otology and Neuro Otology at Rajiv Gandhi University of Health Sciences, Bangalore, India. Which includes surgical training in micro ear surgery, facial nerve and lateral skull base surgery under the leading Otologists of India. He is co-author of the book "Surgical Techniques in Chronic Otitis Media and Otosclerosis - Text and Atlas" which has within a short duration of 4 years sold more than 2000 copies and has become a textbook for learning ear surgery in entire South East Asia. 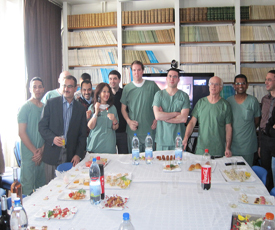 Dr. Bhavin has also co - authored a book on skull base surgery "Functional Surgery of Cerebellopontine angle by Minimally Invasive Retrosigmoid Approach" that was released in April 2013 at Europian Academy meeting in Nice, Franceand this book has been endosrsed by ENT and neurosurgeons all over the world. 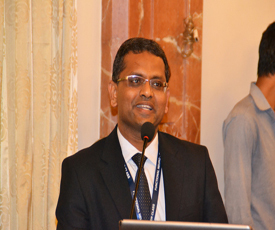 Dr. Bhavin has published multiple papers in various journals. 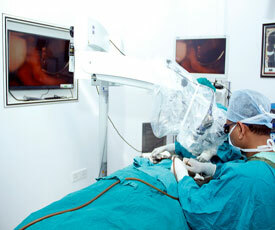 At present he is consultant otologist and lateral skull base surgeon at Bharti ENT Care Hospital, Nizampura, Vadodara. He specializes in diseases of ear and skull base like Chronic Otitis Media, Otosclerosis, Various types of Peripheral Vertigo, Facial Palsy including Unresolved Post Traumatic ane Bell’s Palsy, Acoustic Neuroma, Trigeminal Neuralgia, Hemifacial Spasm and Rehabilitation of Sensorineural Deafness with Cochleat Implant and other types of Implants and Hearing Aids. Dr. Bhavin Parikh has performed more than 2000 Primary and Revision Ear and Sinus Surgeries with one of the best results. 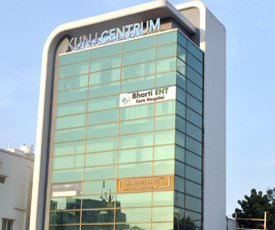 Dr. Unnikrishnan Nair Completed his Post - Graduation (MS) Training in E.N.T. & Head And Neck Surgery Under Maharaja Sayajirao University Of Baroda in July 2003. After postgraduation, he was fortunate to work independently in a Sharda Jhatakiya hospital at Gondal as chief consultant ENT surgeon for a period of eleven years, where he got to operate independently complicated and revision ENT surgeries. He has many research papers published in National Journals on his name. Apart from his professional responsibility, He is deeply involved in social service to the people of poor socio - economical segment living in far rural areas by organizing free awareness & surgical Camps along with team of volunteers. He has performed more than 1000 free ENT Surgeries to the Poor People and Treated over 50,000 Patients Absolutely free of Cost. 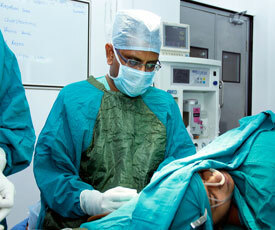 At present, he is consultant ENT surgeon at Bharti ENT Care Hospital, Nizampura, Vadodara. 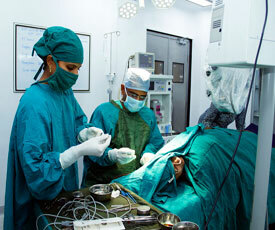 He operates all the routine and complicated ENT surgeries. 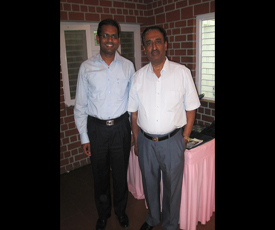 Dr. Ankur Mehta completed Post Graduate Diploma in Anesthesiology at S.S.G. Hospital under Maharaja Sayajirao University of Vadodara in year 2000. He was of very few who was selected and worked as a registrar in anesthesiology at Dr. Balabhai Nanavati hospital, Mumbai from 2001 - 2003 as Diplomate of National Board candidate. He has wide experience in all surgical branch which includes Neuro Anesthesia, Pediatric Anesthesia, ENT and Head and Neck Onco Surgeries. He has worked as specialist in intensive care management with special interest in difficult airway management. He has been working as consultant in anesthetist in Vadodara since 2004 and is associated with Bharti ENT Care since its incorporation. 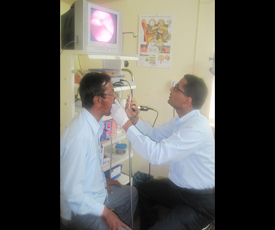 Mr. Santhosh Khanna is an Audiologist and Speech Language Pathologist. 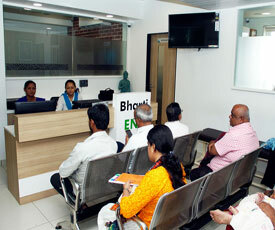 He has Wide experience in this field, He Practises at Bharti ENT Care Hospital in Vadodara. He did his Bachelors in Audiology and Speech Language Pathology (BASLP) From Osmania University Hyderabad. He Completed Masters in Audiology and Speech Language Pathology (MASLP) from Bangalore University. He has received Best Audiologist Award in 2015 at Amplifon (india) Pvt Ltd. 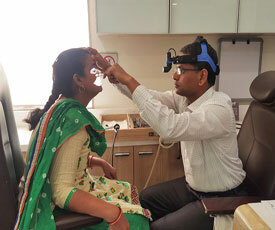 He is keen in providing service for Complete Hearing Assessment And Diagnosis in Adults and Children, Infant Hearing Screening, Hearing Aid Fitting and Programming, Therapy of Speech and Language Defects in Adults & Children, Voice Problems, and Stammering.